Lock in a great price for Hotel Eldorado – rated 8.8 by recent guests! Very comfortable large room which is great when your staying for a week. The food at dinner in the dining room and bar is excellent and the presentation equals as well. Kelowna is all about Okanagan lake.. that’s the beauty of it. The hotel is located just perfectly. Walking distance to beach area and downtown too. Water front views and restaurant Great roof top patio. The Eldorado is a character hotel, incredibly well maintained with modern amenities and a classy, classic vibe. Great bar, good food, tables along the boardwalk, good free wifi, and an ev charger! Lots of folks have weddings and celebrations here so there are often lots of friends and families that make the place not always quiet, but always fun to stay at. The beach is just a couple minutes walk, with sandy shallows, and a paddleboard/kayak/paddleboat rental. 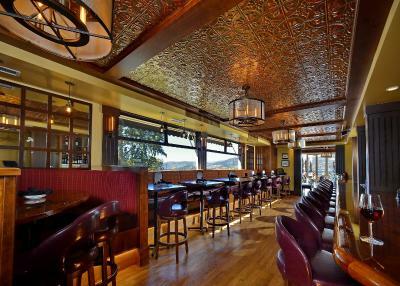 The Eldorado is our goto place in Kelowna. The property had real character and an excellent location. The room was great and had a lovely view of the lake. I loved the rooftop patio, which had great sunloungers and an amazing view. The pub downstairs had excellent food (try the ribs, the were so tasty and so tender). The wine list was great and we found a very delicious bottle of local wine and the cocktails were creative and tasty. The service was top notch! Brunch was really good in the dining room and the views were amazing. The rooms were very clean and the beds were very comfortable!!! Great ambiance with historic rowing antiques and photos really brings out the history and culture of the lake and marina. The restaurant food and service was amazing. 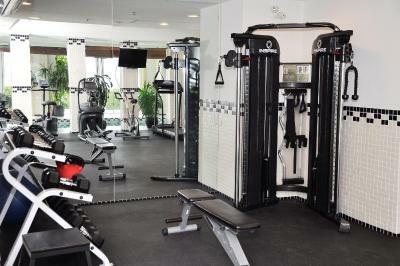 The gym although small is well equipped. The room view across the lake was majestic. All of the staff was friendly, relaxed and courteous in a casual but elegant fashion. Our room was cozy and very comfortable with a bonus of a very good restaurant attached to the hotel. The food was great and our server was friendly and attentative. I would love to return to this hotel in the summer and enjoy dinner on the deck, overlooking the lake. Hotel Eldorado This rating is a reflection of how the property compares to the industry standard when it comes to price, facilities and services available. It's based on a self-evaluation by the property. Use this rating to help choose your stay! Located next to Okanagan Lake, this Kelowna boutique hotel features a marina. This Kelowna hotel is a short walk from the beach. The hotel offers an indoor swimming pool. Mission Creek Golf Club is 7 minutes' drive away. Guest rooms at the Eldorado are equipped with cable TV and WiFi is available. Hotel Eldorado features a steam room and a hot tub. 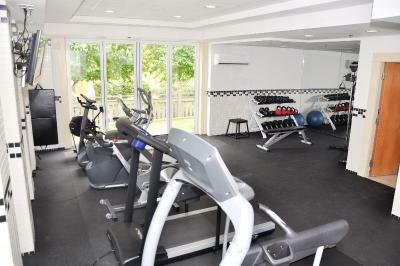 Guests can use the gym or have a meal in the hotel's lakefront Dining Room. The Fairview Par 3 Golf Course is a 2-minute drive from the Eldorado in Kelowna. Rotary Beach Park is a 5-minute walk away. When would you like to stay at Hotel Eldorado? Featuring a flat-screen cable TV with in-room movies, this room provides a granite work desk and cork flooring. Bathrobes and a granite work desk are provided. Please note, this room is located in the "Eldorado Arms" wing of the hotel. 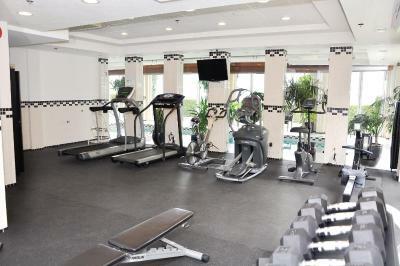 Featuring a flat-screen cable TV with in-room movies, this room provides a granite work desk and cork flooring. Bathrobes are provided in the private bathroom. This room is located in the "Eldorado Arms" wing of the hotel. Free high-speed WiFi is available. Featuring a balcony overlooking Okanagan Lake, this room features a cable TV, and bathrobes. Period pieces and accents are styled in this room. This room is also known as a "Heritage Superior" room. This room cannot accommodate an extra bed because it is too small. Please note, this room has a potential for noise since the food and beverage services are beneath this room. Event venues are also located near this room. Featuring a view of Okanagan Lake from floor-to-ceiling windows, this suite includes a kitchenette with a refrigerator, microwave, dishwasher, and coffee-making facilities. Two 42” LCD TVs, a pull-out sofa bed, and a fireplace are available. A private bathroom includes a glass shower and spa bath with a view of the lake. Free high-speed WiFi is offered. House Rules Hotel Eldorado takes special requests – add in the next step! Hotel Eldorado accepts these cards and reserves the right to temporarily hold an amount prior to arrival. The daily resort fee includes parking, high-speed & wireless internet, local phone calls, coffee station, Globe and Mail newspaper (Mon-Sat). Please note, the Small Queen Room with Lake View has a potential for noise since the food and beverage services are located beneath it. Event venues are also located near this room. Please note, the marina will be closed until lake water levels recede. Please inform Hotel Eldorado of your expected arrival time in advance. You can use the Special Requests box when booking, or contact the property directly using the contact details in your confirmation. Beautiful room and views. Our meal in the restaurant was superb. The hotel should provide a free breakfast everyday. Thanks! The property was under staffed and the restaurant staff were not very helpful in the evening and morning, breakfast was cut off at 9 AM unless you what to pay for a $40 brunch. The room had cobwebs st the ceiling and walls. This property has a nice view, hot tub and pool. In the bathroom there was nowhere I could put my toiletries because it was only a pedestal sink. Gorgeous room. Incredibly comfortable bed!! Outstanding view. Super cool shower and jacuzzi. It was my moms 80th birthday that we were surprising her with. The two ladies at the front desk when we checked in were amazing. Friendly, funny, and very patient. The even called me up in the room when my mom and sister arrived so we were ready to surprise her. Fantastic staff!! Also on another topic, we went for supper at your restaurant and every dish we had was delicious. Especially the lamb that I had.